I had a look at these data. They reveal a lot about income distribution. Truly interesting! Peter and I spent a few days in Canberra. We returned on Sunday, the 28th. Last Saturday we drove up to the Telstra Tower. We had arrived early when there was still quite a bit of morning fog. Opening time was 9 am. The lift took us to the top from where we took several pictures. We had some breakfast in the Cafe of the Telstra Tower. This is Peter writing a Telstra postcard to Caroline and Matthew. The Telstra Postcard is about to be inserted into the Letter-Box! Here Peter is near the Entrance to the Telstra Tower. At about 10,30 we left the Tower and explored a little bit its surrounding and the views towards the city of Canberra. The fog had lifted. There was even some sunshine. The air was fresh and crisp. Temperature had risen to about 8 C.
This is where our rented car was parked. When we had been arriving earlier in the morning we were just about the only visitors. But now more and more people kept arriving. Peter looks at a bus timetable. Then we drove on to the National Museum. The National Museum’s Loop gets closer. This one is about Mystery. There were a lot more of these verses. I took more pictures of other verses. I might show them some other time. All these verses made a lot of sense to me. This is why I took pictures of them to remember them. There was for instance more about hope, loneliness and thrill as well as devotion and passion. Most of the cafe’s outside area was under construction. We just had a look outside, but were sitting inside the cafe for our lunch. We shared some fruit salad and then shared some lovely fried eggs on barbecued toast. I very much liked this lunch. Peter had some knee problems and at one stage was limping a bit. One museum staff member noticed it and promptly offered Peter the free use of one of the museum’s scooters. Very bravely, Peter rejected this offer. He just was not inclined yet to use one of these motorised scooters, hoping his knee would soon get better. And luckily, by massaging some relevant pressure points, it soon did get better, and Peter was able to walk around again more freely. This one is near the entrance. This is also close to the entrance. We had tickets for this very interesting show. The Museum of Australian Democracy is int the Old Parliament Building. The Camphor Laurel tree before it was cut down. The Camphor Laurel tree had to be cut down. (Its stump can be seen in the first picture.) After the tree lopping team arrived, they first cut down our umbrella tree, then they started working on our palm tree and last of all was then the camphor laurel tree taken care off. In a few days they’ll come back to cut out the three stumps. We feel we suffered a big loss for we loved those trees. We enjoyed them over many years. But unfortunately they had to go. They did grow much too big for our small backyard, and they were too close to the fence and to our house. There just was not enough room for them. They’re also classified as ‘noxious’. Their roots spread everywhere. From the spikes in the palm tree one could get poison into one’s skin causing nasty skin infections. Man cutting the palm tree’s trunk. Our backyard looks pretty bare at the moment. But we’re soon going to plant something new and hopefully something a bit more suitable for this small area. Jane McAdam receives funding from the Australian Research Council and the Research Council of Norway. She is engaged in several international policy processes aimed at developing strategies to address human mobility in the context of climate change and disasters. Nauru is best known to most Australians as the remote Pacific island where asylum seekers who arrive by boat are sent. What is less well known is that in the 1960s, the Australian government planned to relocate the entire population of Nauru to an island off the Queensland coast. The irony of this is striking, especially in light of continuing revelations that highlight the non-suitability of Nauru as a host country for refugees. It also provides a cautionary tale for those considering wholesale population relocation as a “solution” for Pacific island communities threatened by the impacts of climate change. 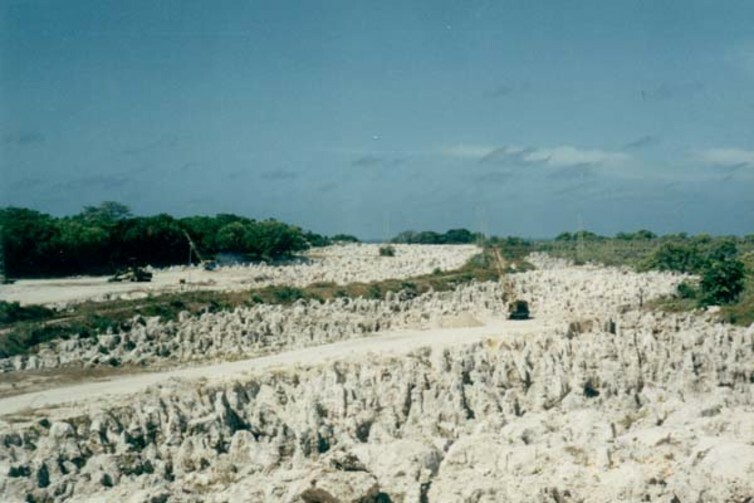 Extensive phosphate mining on Nauru by Australia, Britain and New Zealand during the 20th century devastated much of the country. The landscape was so damaged that scientists considered it would be uninhabitable by the mid-1990s. With the exorbitant cost of rehabilitating the island, relocation was considered the only option. 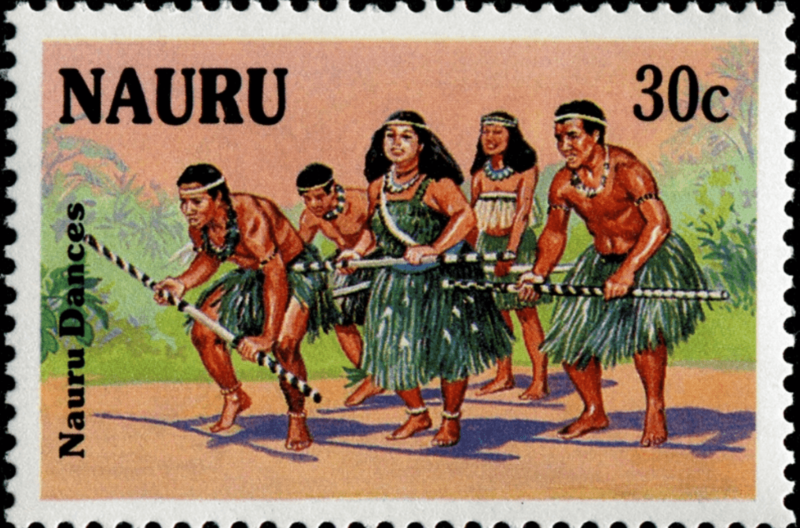 In 1962, Australia’s prime minister Robert Menzies acknowledged that the three nations had a “clear obligation … to provide a satisfactory future for the Nauruans”, given the large commercial and agricultural benefits they had derived from Nauru’s phosphate. This meant “either finding an island for the Nauruans or receiving them into one of the three countries, or all of the three countries”. That same year, Australia appointed a Director of Nauruan Resettlement to comb the South Pacific looking for “spare islands offering a fair prospect”. Possible relocation sites in and around Fiji, Papua New Guinea, the Solomon Islands, and Australia’s Northern Territory were explored, but were ultimately deemed inappropriate. There weren’t enough job opportunities and there were tensions with the locals. Fraser Island in Queensland was also considered, but the Australian government decided it didn’t offer sufficiently strong economic prospects to support the population. The Nauruans thought this was a convenient excuse (and archival materials show that the timber industry was fiercely opposed). In 1963, Curtis Island near Gladstone was offered as an alternative. Land there was privately held, but the Australian government planned to acquire it and grant the Nauruans the freehold title. Pastoral, agricultural, fishing and commercial activities were to be established, and all the costs of resettlement, including housing and infrastructure, were to be met by the partner governments at an estimated cost of 10 million pounds – around A$274 million in today’s terms. But the Nauruans refused to go. They did not want to be assimilated into White Australia and lose their distinctive identity as a people. Many also saw resettlement as a quick-fix solution by the governments that had devastated their homeland, and a cheap option compared with full rehabilitation of the island. Australia also refused to relinquish sovereignty over Curtis Island. While the Nauruans could become Australian citizens, and would have the right to “manage their own local administration” through a council “with wide powers of local government”, the island would officially remain part of Australia. 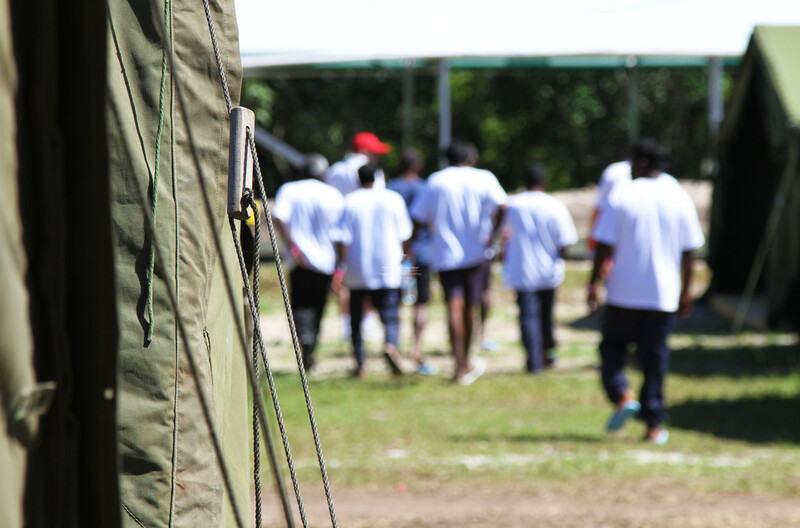 Frustrated by what it perceived as a genuine and generous attempt to meet the wishes of the Nauruan people, the Menzies government insisted it wouldn’t change its mind. So the Nauruans stayed put. The issue briefly resurfaced in 2003 when Australia’s foreign minister Alexander Downer once again suggested wholesale relocation as a possible strategy, given that Nauru was “bankrupt and widely regarded as having no viable future”. Nauru’s president dismissed the proposal, reiterating that relocating the population to Australia would undermine the country’s identity and culture. Today, “planned relocation” is touted as a possible solution for low-lying Pacific island countries, such as Kiribati and Tuvalu, which are threatened by sea-level rise and other long-term climate impacts. But past experiences in the Pacific, such as the relocation of the Banabans in 1945 from present-day Kiribati to Fiji, show the potentially deep, intergenerational psychological consequences of planned relocation. This is why most Pacific islanders see it as an option of last resort. Unless relocation plans result from a respectful, considered and consultative process, in which different options and views are seriously considered, they will always be highly fraught. Nauru today is at the highest level of vulnerability on the Environmental Vulnerability Index. The past destruction wrought by phosphate mining has rendered the island incapable of supporting any local agriculture or industry, with 90% of the land covered by limestone pinnacles. It has a very high unemployment rate, scarce labour opportunities, and virtually no private sector – hence why the millions of dollars on offer to operate Australia’s offshore processing centres was so attractive. These factors also illustrate why the permanent resettlement of refugees on Nauru is unrealistic and unsustainable. 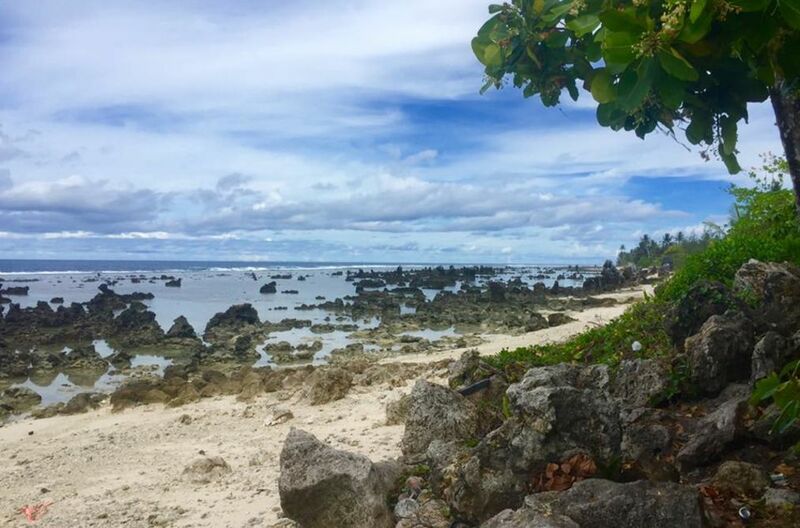 Nauru’s future seems sadly rooted in an unhealthy relationship of co-dependency with Australia, as its territory is once again exploited, at the expense of the vulnerable. And as the story of Curtis Island shows, there are no simple solutions, whether well-intentioned or not. This is an overview of a longer article published in Australian Geographer. The following is an extract of an article by Helen Davidson that was published in The Guardian on 13 August 2016. • The Refugee Advice and Caseworker Service is a legal centre providing free and specialised legal assistance to asylum seekers and to refugees seeking to reunite with their families. The RACS has helped 2,500 people but estimate there are at least 9,000 who need assistance in NSW alone. Its government funding was slashed in 2014. You can offer financial assistance. 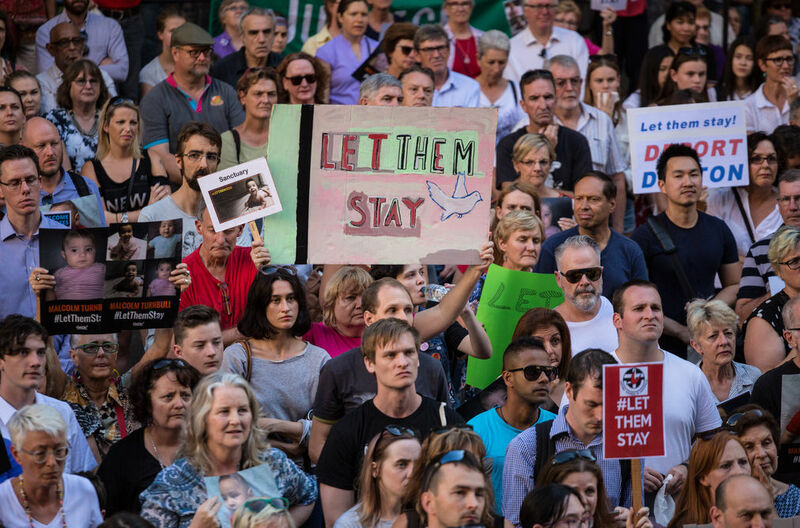 • In Queensland the Refugee and Immigration Legal Service is another independent, not-for-profit community legal centre for refugees and asylum seekers. Its small staff assist as many people as they can who appear before the Department of Immigration, migration review tribunal, refugee review tribunal. Who knows about all this? “I am honored and excited to announce that my running mate in the 2016 presidential election will be Ajamu Baraka, activist, writer, intellectual and organizer with a powerful voice, vision, and lifelong commitment to building true political revolution,” Stein announced. Ajamu Baraka is an internationally recognized human rights activist, organizer and geo-political analyst. Founding Executive Director of the US Human Rights Network (until 2011) and Coordinator of the U.S. based “Black Left Unity Network’s” Committee on International Affairs, Baraka has served on the boards of various national and international human rights organizations, including Amnesty International (USA) and the National Center for Human Rights Education. He has served on the boards of the Center for Constitutional Rights; Africa Action; Latin American Caribbean Community Center; Diaspora Afrique; and the Mississippi Workers’ Center for Human Rights. Baraka is a member of the Green Shadow Cabinet and an Associate Fellow at the Institute for Policy Studies (IPS) in Washington, D.C. An editor and contributing columnist for Black Agenda Report, Baraka has appeared on and been covered in a wide-range of print, broadcast, and digital media outlets such as CNN, BBC, the Tavis Smiley Show, ABC’s World News Tonight, the Washington Post, the New York Times, and Telemundo. There had been earlier speculation that Stein would offer the spot to ex-Sanders surrogate and former Ohio State Senator Nina Turner, who had been unfairly spurned at last week’s Democratic National Convention for her principled criticism of the DNC and Hillary Clinton. Stein confirmed that talks had taken place between her and Turner, but that the conditions were not right for a combined run. Stein said she also discussed the position with author Chris Hedges, single payer healthcare activist and US Senate candidate Dr. Margaret Flowers (Green – Maryland), economic justice advocate and TPP opponent Kevin Zeese of PopularResistance.org, and Green Party activist and former Black Panther Party leader, Aaron Dixon. Dr. Jill Stein is expected to be formally nominated as the Presidential candidate of the Green Party at their national convention in Houston on Saturday, August 6th. The Jill Stein for President campaign is building a movement for an America that works for us all. Sign your name below to let Jill know you’re with her. We the undersigned urge your support – including your voice and your vote – for Jill Stein for President on the Green Party line as an essential, urgent step to continue building a true American revolution. A movement for democracy and justice is sweeping the planet – from Occupy Wall Street to the Arab Spring to the Black Lives Matter movement. People are rising up to halt the neoliberal assault, calling for an America and a world that works for all of us. While our movement is winning important victories – notably for living wages and against fossil fuel infrastructure – the economic elite have only tightened their grip. People are realizing that if we want to fix the rigged economy, the rigged racial injustice system, the rigged energy system and more, we must also fix the rigged political system. While support for the Sanders campaign surpasses that of all other campaigns, the elites of the Democratic Party have stacked party rules to sabotage his campaign, like principled and powerful grassroots candidates before him. The Democratic Party is proving once again that you can’t have a revolutionary campaign in a counter-revolutionary party. As the Democrats shut down Sanders’ campaign, some “progressives” are advocating retreat from electoral politics, suggesting people double down on social movements. Of course we must continue to fight for these movements in every way possible. But if we do not also fight for political power, the battles of our social movements will count for little, as they will be outflanked by predatory elites making our laws, writing our budgets, and appointing government administrators. In the words of Frederick Douglass, “Power concedes nothing without a demand.” We must bring that demand into the halls of power.